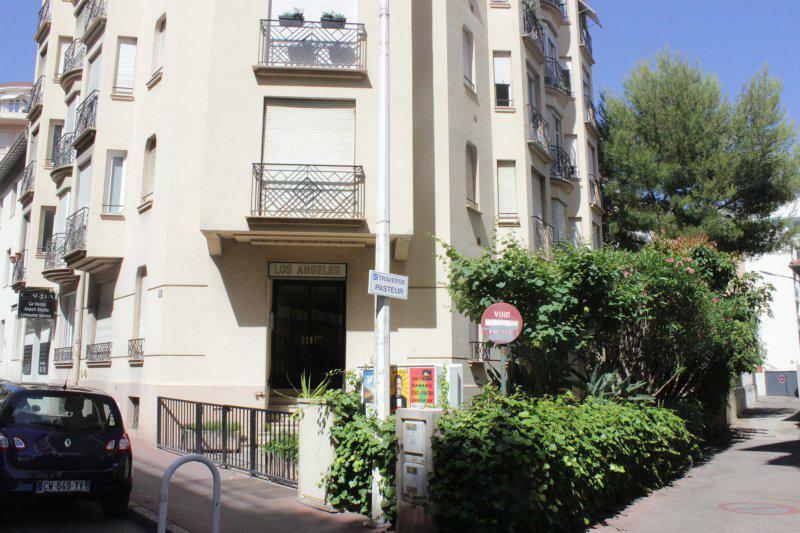 This Cannes studio apartment is situated on the 7th floor of a central residential building with elevator, right between Hotel Martinez and Carlton Hotel. On this street, right outside the apartment building, you’ll find cafes, bars and restaurants. 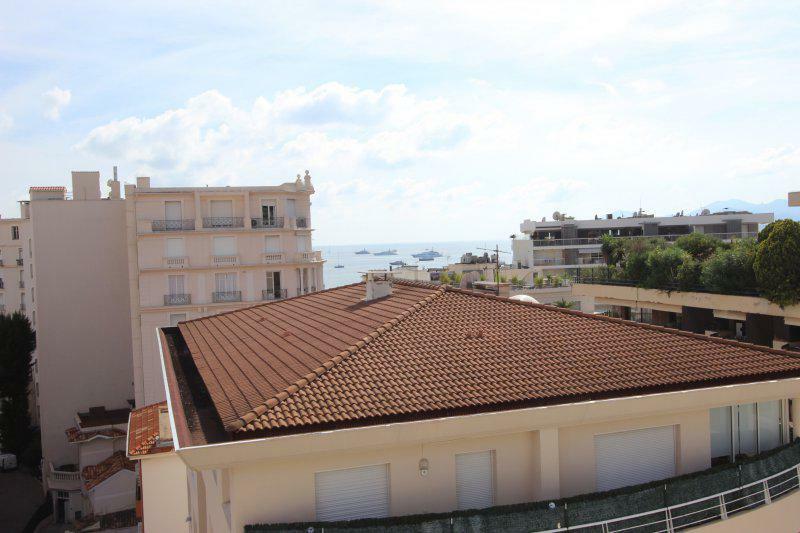 The boulevard and the sea are only at a 2-minute walking distance from this Cannes studio accommodation. 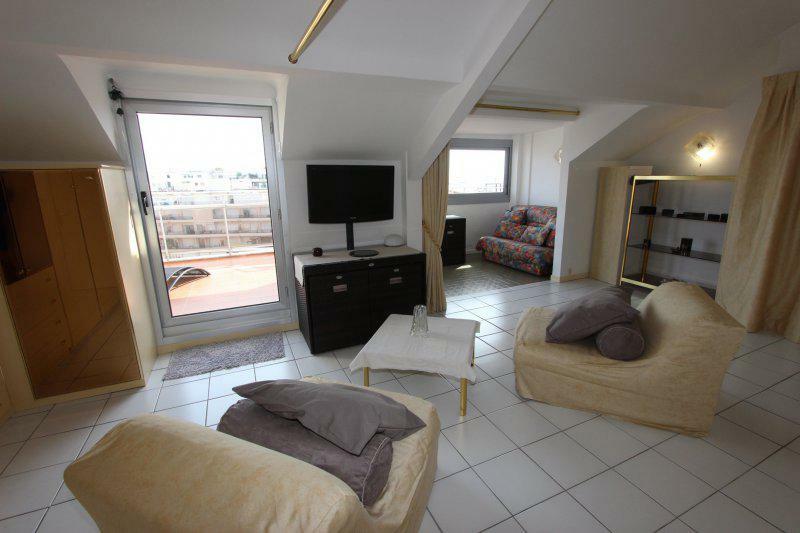 The spacious terrace is the highlight feature of this Cannes rental studio. 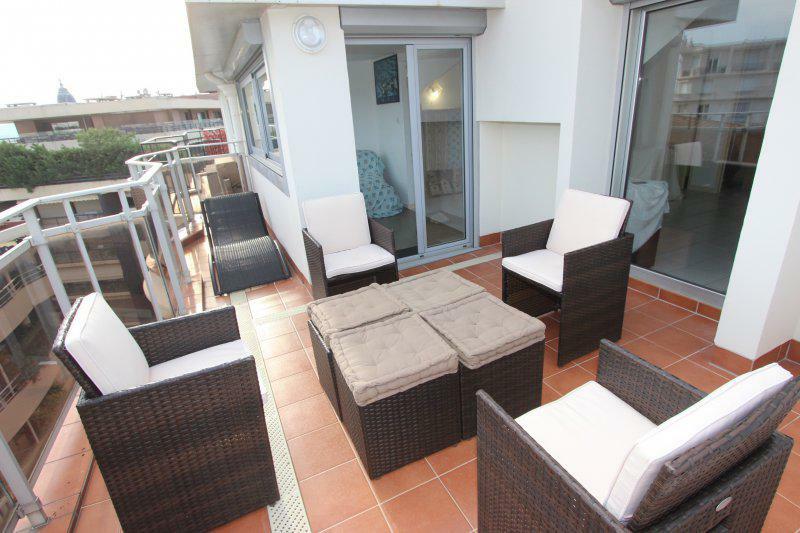 Furnished with patio furniture, it offers lovely panoramic views of the Mediterranean Sea and Cannes city. This terrace can also serve as the perfect space to have a meeting. The living room overlooks the terrace and is provided with chairs and a tv. The double bed is separated from the living room by curtains. The apartment has an additional area with a sofa bed to accommodate another guest and you can also draw a curtain to close off this room from the living room to have privacy. The kitchen is fully-equipped with all the necessary appliances and the bathroom has a shower and toilet. The entire apartment transmits relaxing vibes that you will appreciate after a long day of conferences and events. 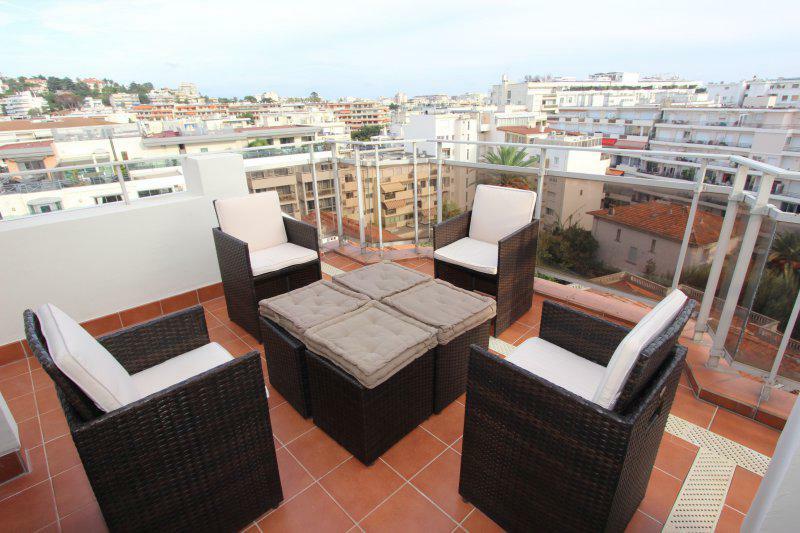 The location and terrace will make your stay in Cannes unforgettable!